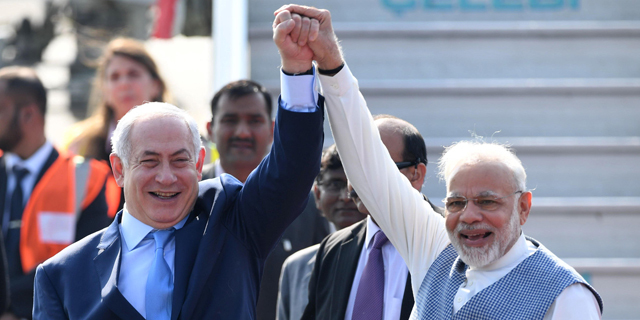 Israeli Prime Minister Benjamin Netanyahu was scheduled to visit “India only for a day on February 11 and a meeting with Prime Minister Narendra Modi has been confirmed” according to the Indian television news outlet, Channel 18. On Monday, Indian news magazine The Week reported that the visit appears to have been postponed. The Israeli foreign ministry declined to comment on the planned trip. On Tuesday, Israeli news outlet Ynet reported that Netanyahu canceled his meeting with Austrian president Alexander Van der Bellen “due to illness”. The Israeli national security advisor Meir Ben-Shabbat met with Indian Prime Minister Narendra Modi in India last month. Netanyahu tweeted about the visit, and said that “security deals” were discussed. Since their founding in the late 1940s, the two countries maintained stable, yet relatively cold, diplomatic relations. In 1992, Israel and India established full diplomatic relations. Recent years have seen bilateral relations between the countries blossom. 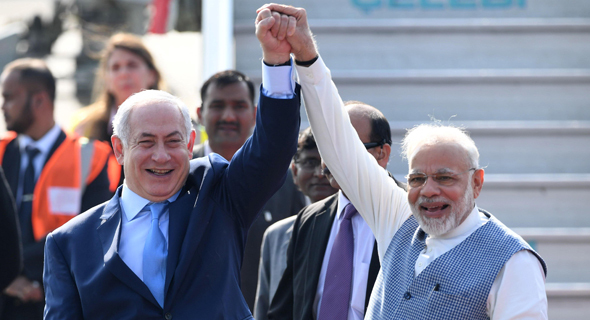 In January, the Israeli prime minister made a state visit to India, reciprocating a visit to Israel by Modi, a first by an Indian prime minister. Both prime ministers were accompanied by business delegations looking to further intensify trade. India accounted for 49% of Israeli arms export between 2013 and 2017, making Israel the third largest supplier to India, according to the 2017 arms transfer report by the Stockholm International Peace Research Institute (SIPRI). In 2017 alone, $2 billion worth of missile system deals were signed between state-owned Israel Aerospace Industries (IAI) and India, amounting to nearly 22% of Israel’s overall $9.2 billion in arms exports that year. Since 2014, the number of tourists coming to Israel from India has gone up by nearly 70% annually, from 34,600 to 58,000 in 2017, according to data released by Israel’s Ministry of Tourism in March of last year. In March, the first direct seven-hour flight from Delhi landed in Tel Aviv, flying over Saudi airspace.